When water damage occurs in a home, not only are the floors affected, but often the walls are as well. Sometimes the damage is obvious, but in many cases it is hidden and may be missed by those not specifically trained in water damage restoration. For our restoration professionals, the first step is to determine the extent of the water damage. Water that enters a room from ground level will cover the floor and floor covering, and will then begin to wick up the wall (move vertically) because of capillary action in porous materials. The extent of this wicking will depend on the construction of the wall, the amount of the water, and its height on the wall material. Drywall is an absorbent material made of a gypsum core and a cardboard-like paper on both sides. Drywall can wick water up to thirty inches. The water will be present on both sides of the wall and often, it is higher on the inside due to restricted evaporation on that side of the drywall. While water damage is sometimes visible, at other times, the wall does not show signs of this moisture. 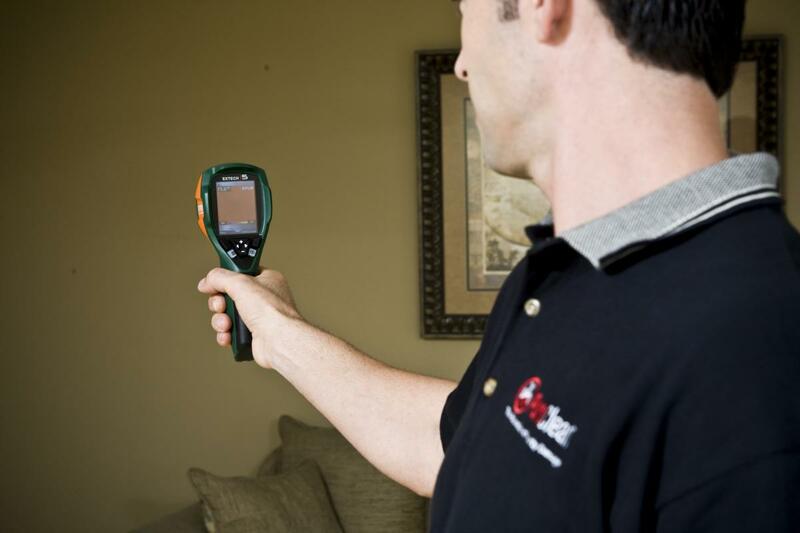 Our restoration professionals have a full range of professional metering equipment to help evaluate damage. One choice is a non-invasive moisture meter. This meter uses radio waves to test for the presence of water without putting holes in the wall. Another professional instrument is an infrared imaging device or camera. Since the evaporation from wet walls makes them cooler than dry walls, the IR camera can identify the presence of water in walls with no holes or other invasion of the wall material. Once wet walls are identified, drying equipment is used to dry them. If there is no insulation present, the walls can usually be dried without holes and without removing the baseboard. Our restoration professionals place High Capacity Air Movers along the wall every ten to fourteen linear feet. These air movers remove the water molecules from the surface of the wall, allowing further evaporation (drying) to occur as quickly as possible. As the moisture from the wall evaporates into the air, capillary action draws more moisture to the surface where it evaporates. Our restoration professional will also install a Low Grain Refrigerant dehumidifier in the structure – one or more as needed. This state-of-the-science drying equipment reduces the humidity levels to facilitate drying and help prevent the occurrence of mold. When appropriate, our restoration professionals will install an inner-wall drying system by putting small holes above the sill plate and forcing air into the wall cavity. Studies have shown that this is the best and fastest way to dry walls with water damage. coverings create a complete barrier. They will need to be perforated or removed to allow the moisture to escape and the walls to dry. Insulation in the wall will also affect drying. If there is fiberglass insulation with paper backing, then an inner-wall drying system can be used, as described above. If the insulation is foil-backed fiberglass, blown-in cellulose, or a Styrofoam material, then it cannot be dried successfully. In those cases, removing the damaged portion of the wall along with the insulation is necessary to allow rapid drying and to prevent the development of mold. Regardless of the procedures used by the restoration professional, it is important that the customer recognize that the equipment must operate, without stopping, throughout the drying process. Our restoration professionals will monitor the drying system at least once each day to insure the equipment is operating correctly and to make adjustments as needed. Part of the daily monitoring includes moisture measurements to determine when the materials are successfully dried. Material dryness is measured against similar unaffected materials in that structure. When the levels are the same, the drying is finished and the equipment removed. 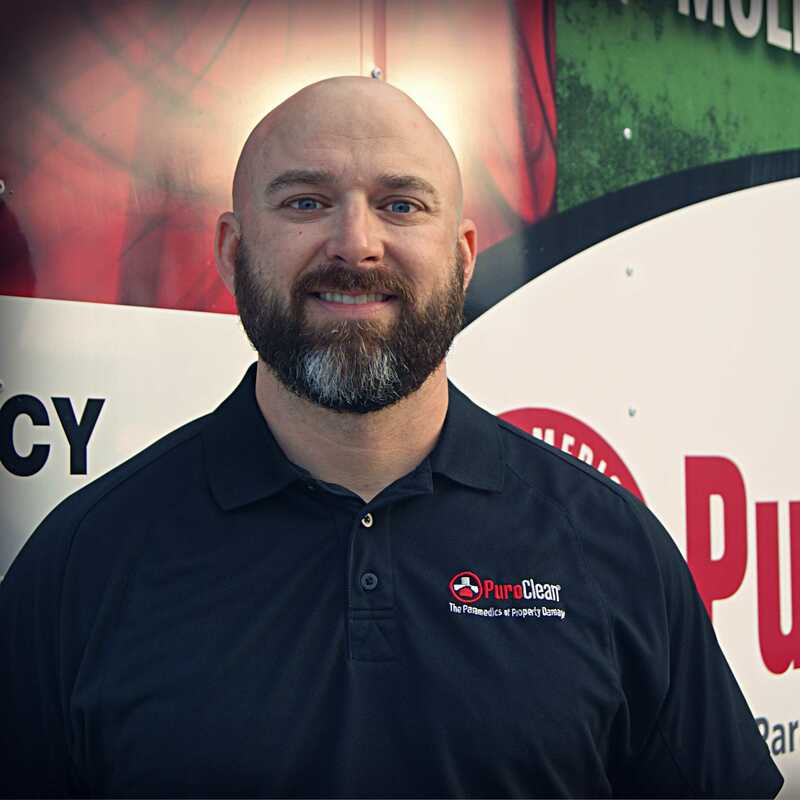 Our restoration professionals at PuroClean Certified Restoration understand and use the principles and procedures of the science of water removal to dry walls and other items as quickly and thoroughly as possible, preventing further damage and the development of mold. Regardless of the circumstances – if water damage occurs from storms, floods, or other sources, call PuroClean Certified Restoration, the Paramedics of Property Damage™. For all water damage, or damage from fire or smoke, our professionals are standing by. We will mitigate the loss to prevent further damage and will then provide restoration services to return the property to a pre-loss condition as quickly as possible. Our office has well-trained and certified professional technicians who provide the latest state-of-the-science services to all property damaged from water, fire, mold, and other disasters.